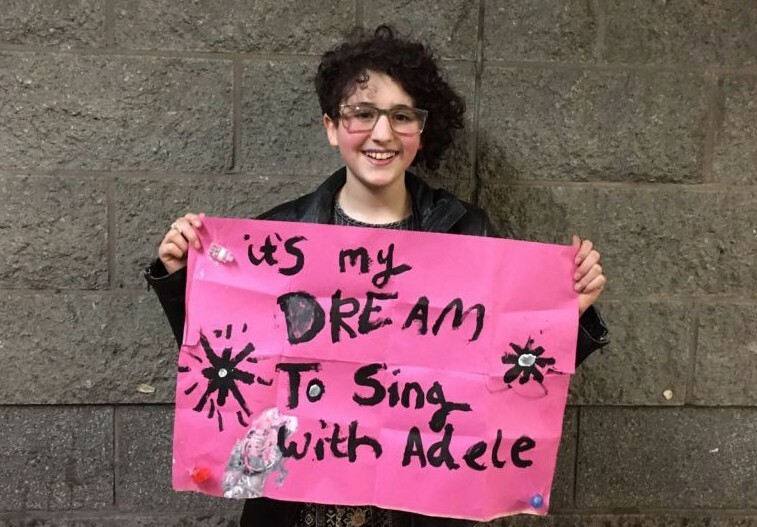 Aspiring singer Emily Tammam saw her dream come true when she was invited onto the stage to sing with her idol, Adele, writes Francine Wolfisz. 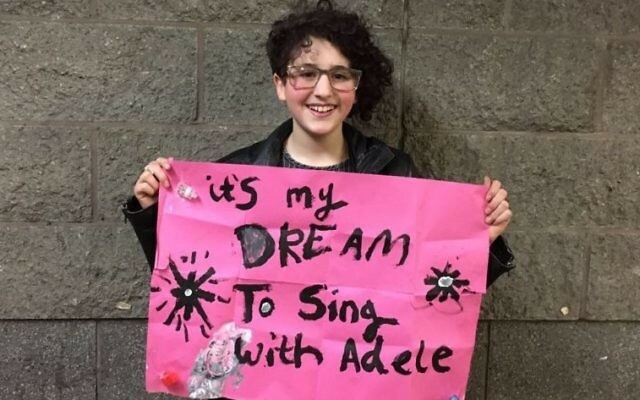 The Grammy award-winning artist spotted 12-year-old Emily, who is autistic and has attention deficit hyperactivity disorder, among the audience at her Manchester Arena show last Tuesday, after her young fan held up a banner saying: ‘It’s my dream to sing with Adele’. 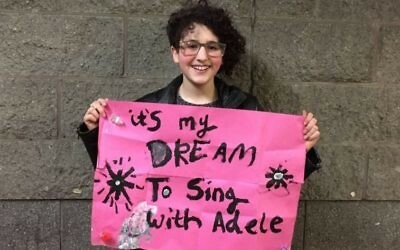 Emily, who attended the concert with her 45-year-old father Ray, wowed the 20,000-strong crowd with her rendition of Adele’s signature song, Someone Like You. This week, proud mum Vicky, 37, from Manchester, said she “couldn’t believe it” when she received a text from her husband following their daughter’s incredible feat. Emily, a former pupil of Bury and Whitefield Jewish Primary School, has been a keen singer from a young age and just narrowly missed out on the television auditions of Britain’s Got Talent in 2014. In her spare time, Emily volunteers to help Langdon College choir in Manchester with her singing teacher, Jo Bernstein.